If you’re visiting Lisbon from October 15th through November 1st, this is the perfect opportunity to get to know our gastronomy, especially our snacks. 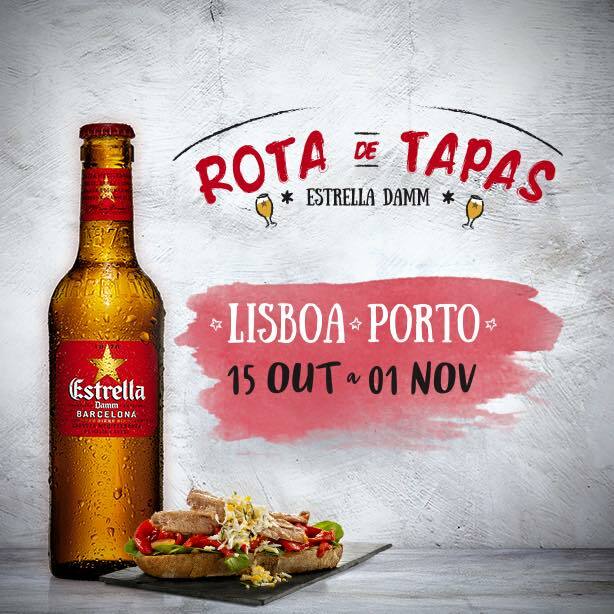 Lisbon will host the 6th edition of “Rota das Tapas” welcoming the fans of the delicious snacks and true beer traditions. Hopefully, the good weather will invite to socialization on the streets while one savors the various flavors, scents and pleasures of the Portuguese cuisine. Between seafood and fresh fish from Portugal’s sea, cheeses and sausages, this is an event that invites you to discover new flavors, “snacking” in a fun way. These is also a tasty way to know Lisbon and its historic districts. In “Zomato” you will find the complete list of the participating restaurants. From Bairro Alto to Principe Real from Madragoa to Santos, there’s a lot to discover.